Homophones, or words that sound alike but are spelled differently, can be difficult for students to use correctly. 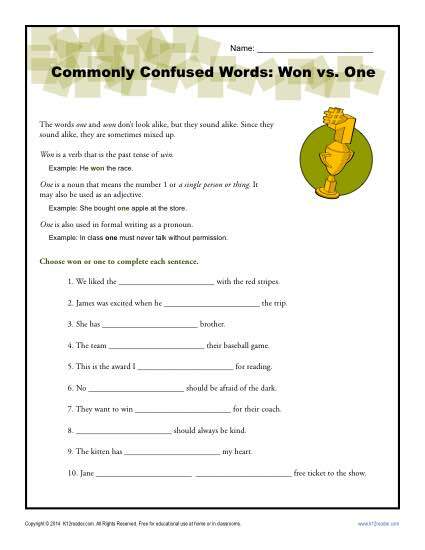 In this worksheet, your youngster will learn basic definitions for the homophones one and won. Then he’s asked to place the correct word in sentences. It’s useful for 4th grade Common Core Standards for Language, but it may also be helpful for other students and other grades.